Wormhole Lander is a rendition of the original Lunar Lander. 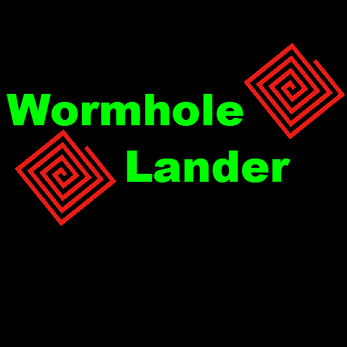 While the art pays tribute to the classic game, the game play is original thanks to the puzzle elements seen by traveling through wormholes. Land on the platform gently, slowly, and straight to complete each level. Your velocity should be under 5. Enjoy!